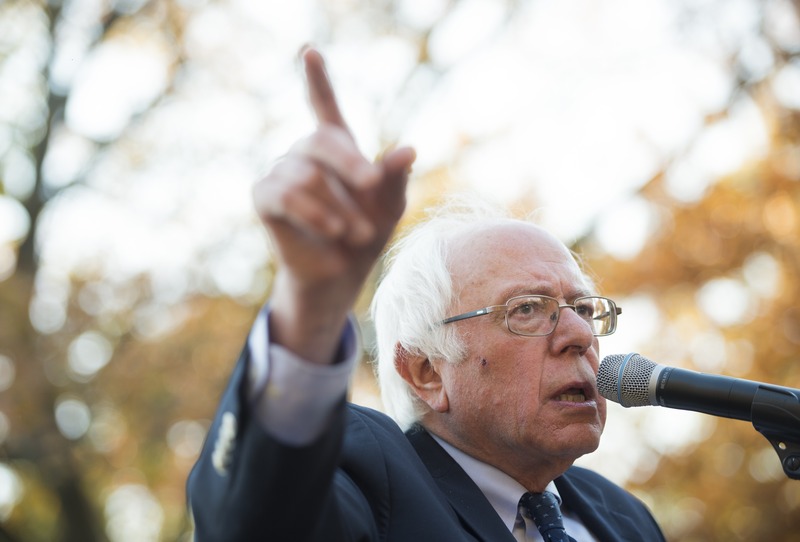 The outcome of the presidential election was hard on a whole lot of people, but perhaps most of all on Sen. Bernie Sanders, whose bid for the Democratic nomination pitched most heavily to working-class and low-income Americans. President-elect Donald Trump ultimately appealed more to white working-class and poor Americans than the eventual Democratic nominee, Hillary Clinton. As Trump stacks his transition team in ways that indicate broken campaign promises before even taking office, the Vermont senator is ready to call him out on every hypocritical choice he makes. Donald Trump asked workers and seniors to vote for him because he was the only Republican candidate who would not cut Social Security, Medicare and Medicaid — programs that are of life-and-death importance for millions of Americans. Now, he has nominated a person for secretary of Health and Human Services, Rep. Tom Price, who has a long history of wanting to do exactly the opposite of what Trump campaigned on. Rep. Price has a long history of wanting to cut Social Security, Medicare and Medicaid. What hypocrisy! Mr. Trump needs to tell the American people that what he said during the campaign were just lies, or else appoint an HHS secretary who will protect these programs and do what Trump said he would do. Price, a member of the House of Representatives for Georgia and chair of the House Budget Committee, said in 2015 that a number of standard-fare GOP measures regarding Social Security should be considered, including privatization, means testing, and increasing the minimum age at which people would be eligible to collect. Trump's plan, at least as outlined on the campaign trail, eschewed Republican orthodoxy. He promised to strengthen the program by improving the economy enough to fill its coffers to continue providing the same coverage it does today in the decades to come, when the Social Security trust fund is set to run dry. His choice of Price may signal a reversal. Concerning Medicare and Medicaid, Trump said little about the former except that he wouldn't cut it, and came out in support of block grants from the federal government that allow states to control Medicaid programs within their borders. Price stated that he anticipated a complete overhaul of Medicare next year, and endorsed House Speaker Paul Ryan's health care plan, which includes allowing seniors to buy private health insurance with government money. Price also supports federal block grants to states for Medicaid. As Trump backs away from promises he made on the campaign trail, including his promises to preserve Social Security, Medicaid, and Medicare, Sanders will be there to point out his betrayal of the working-class and low-income supporters who bought such rhetoric.